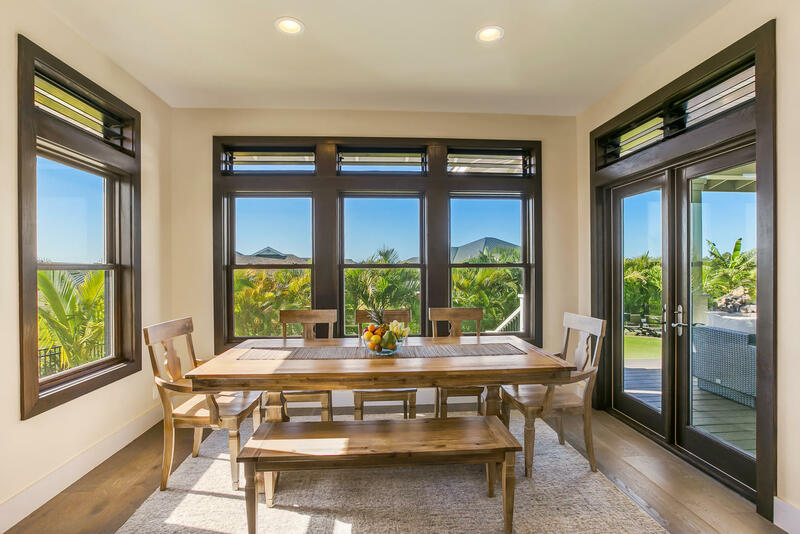 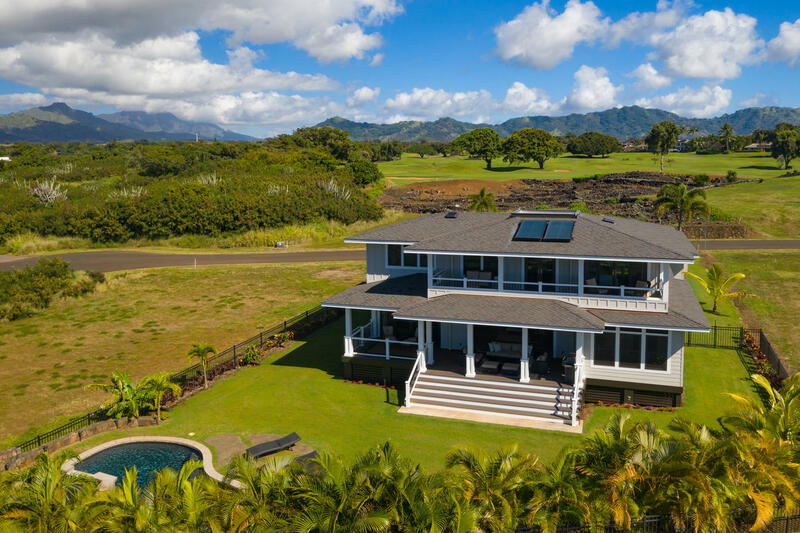 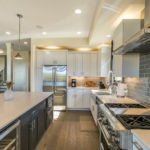 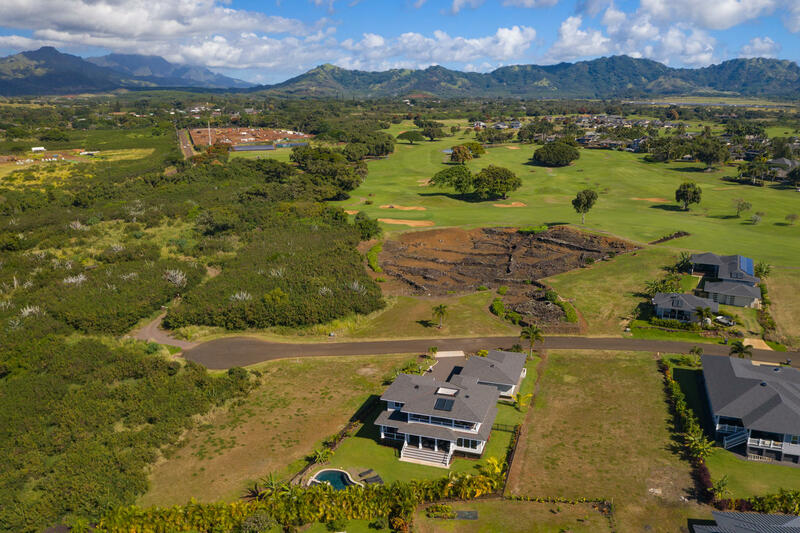 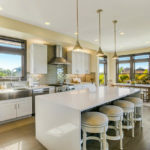 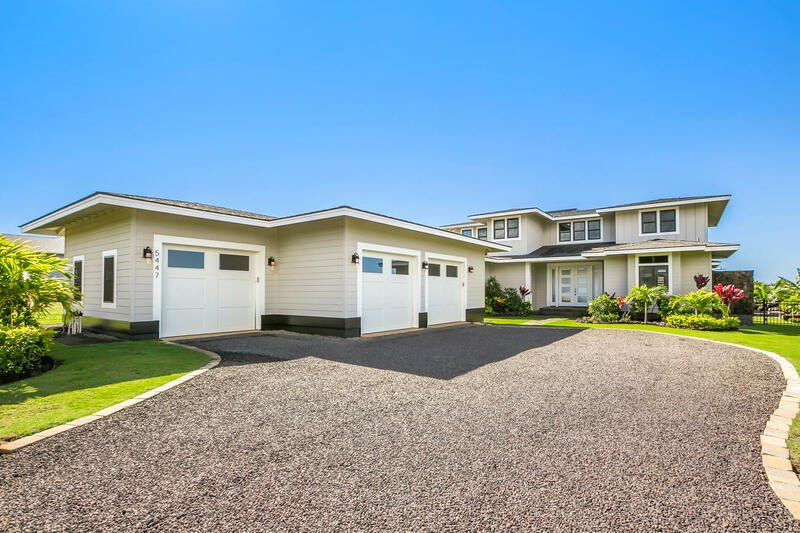 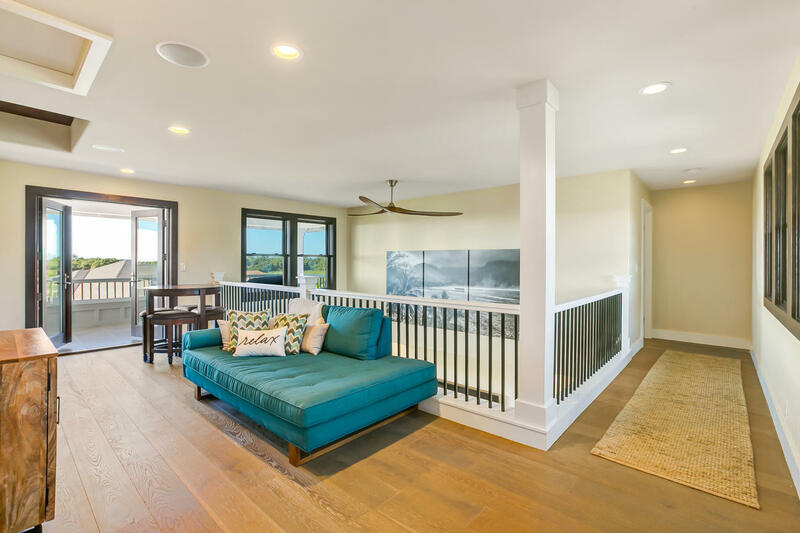 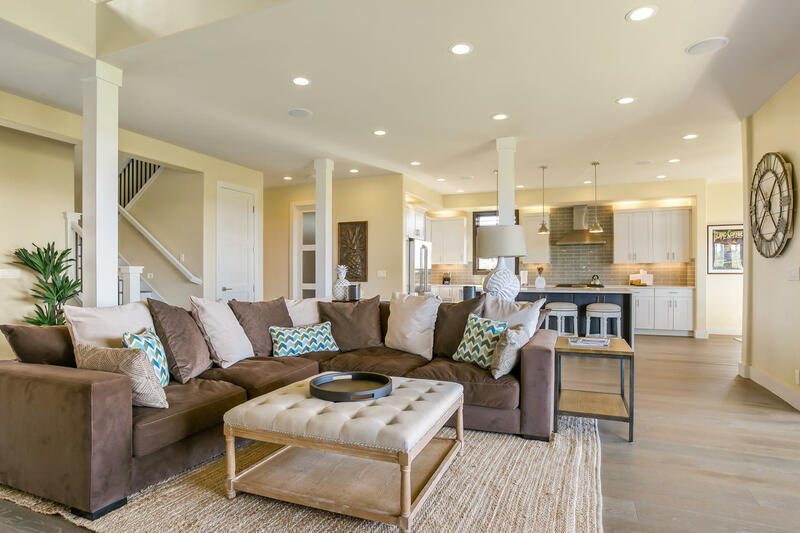 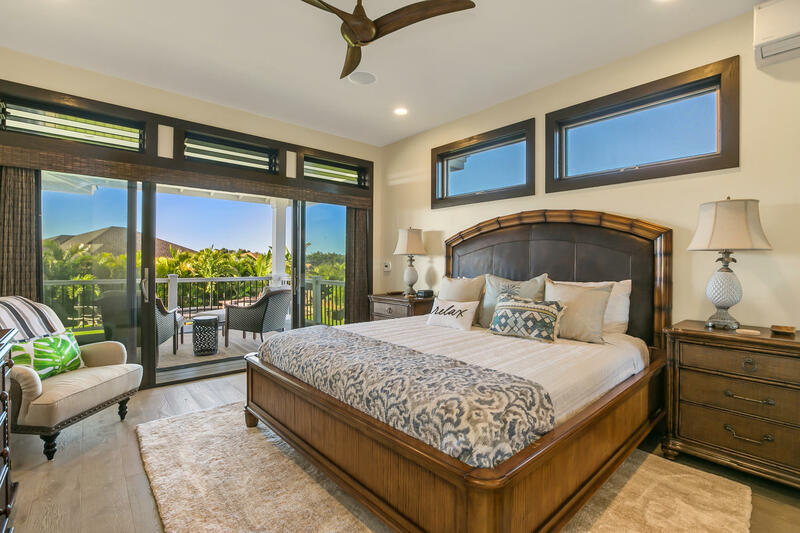 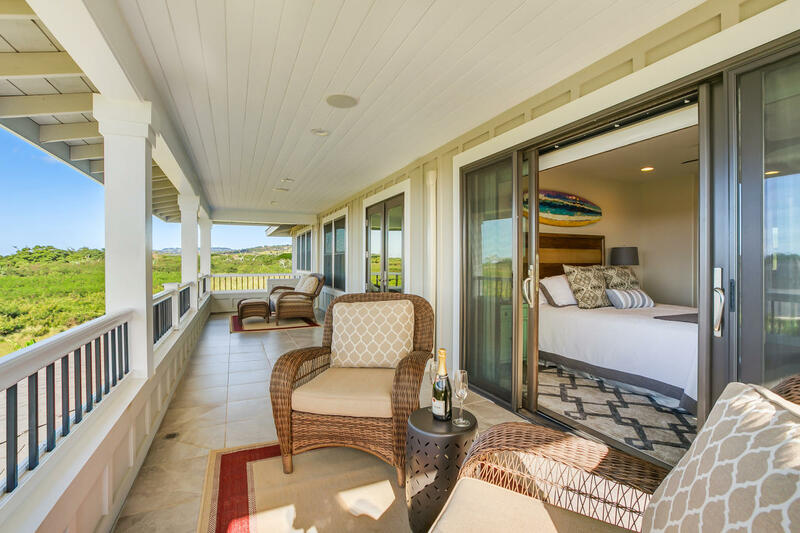 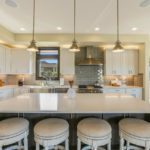 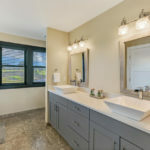 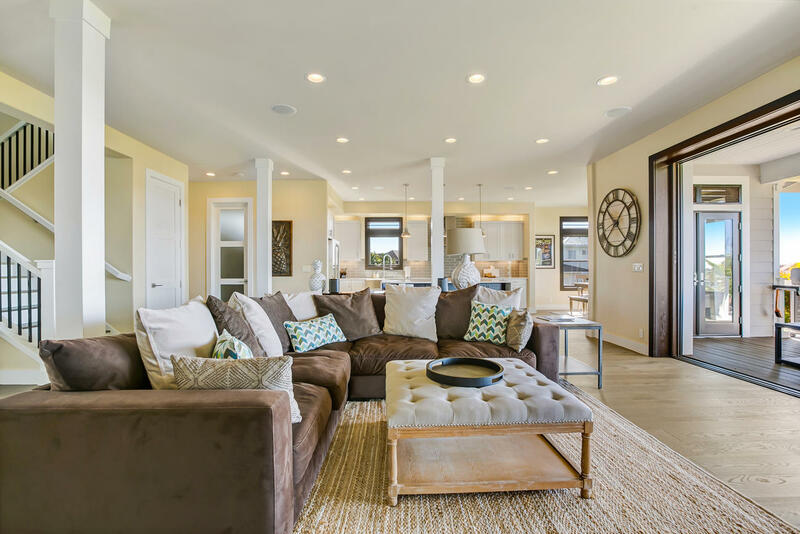 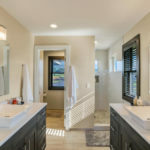 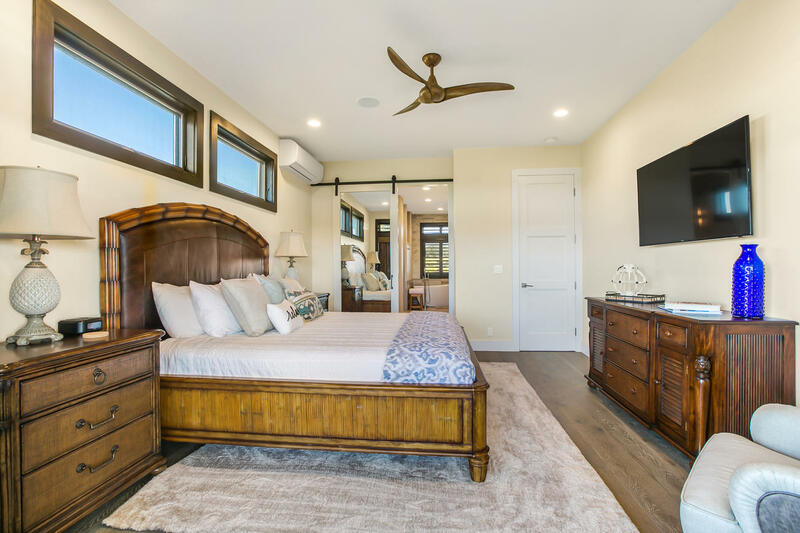 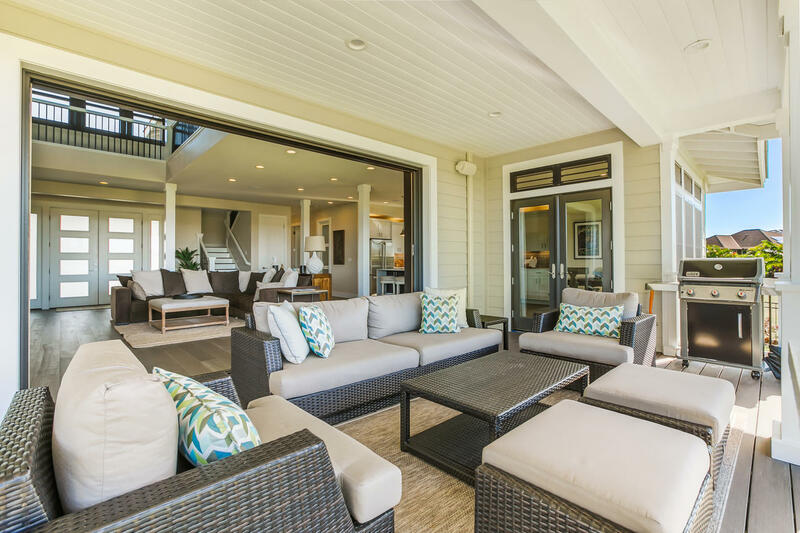 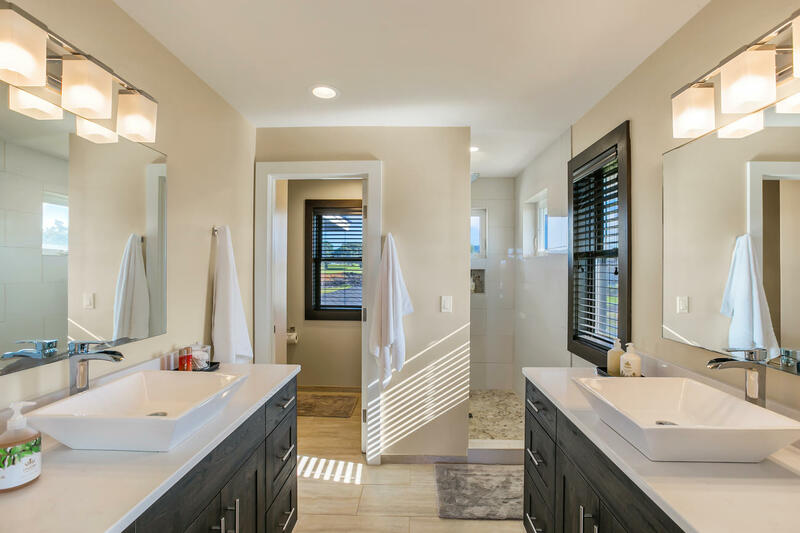 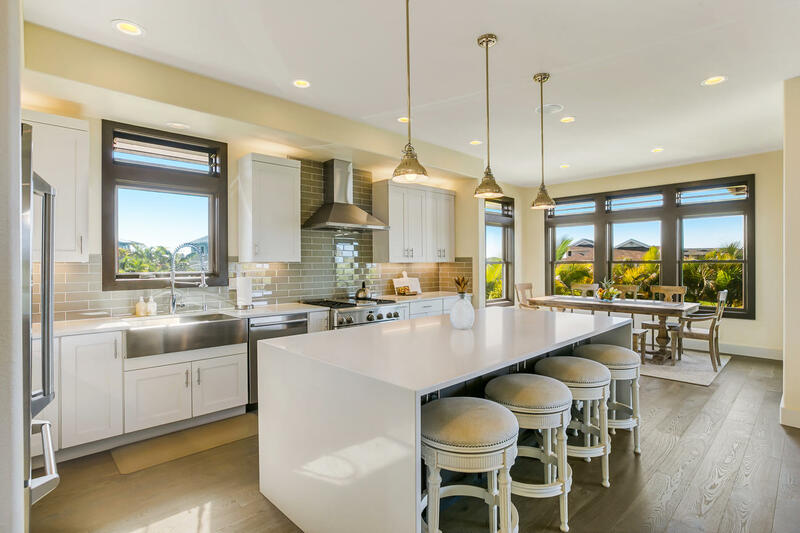 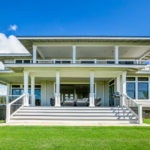 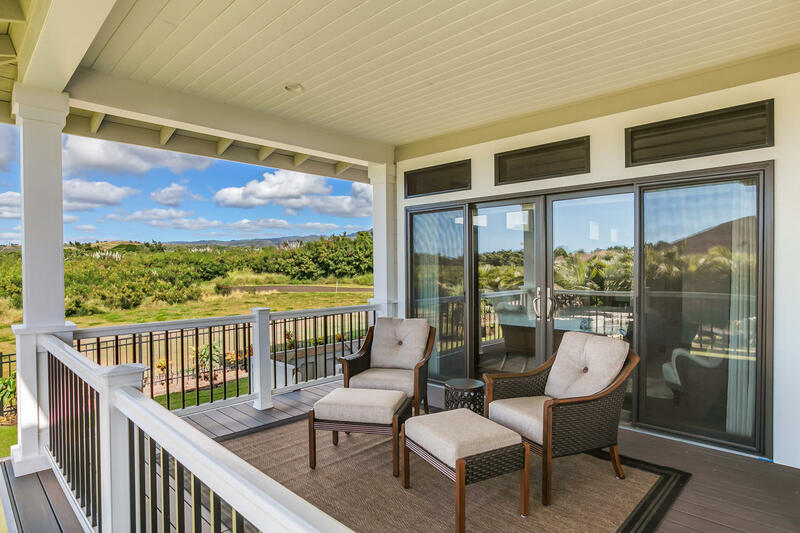 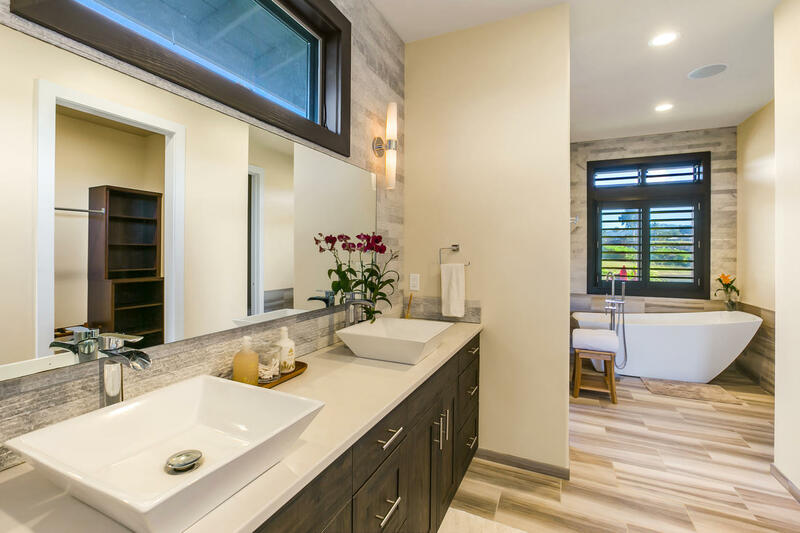 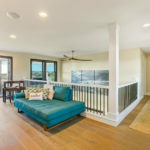 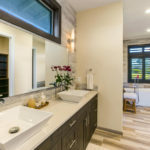 This newly constructed home is a true Poipu gem. 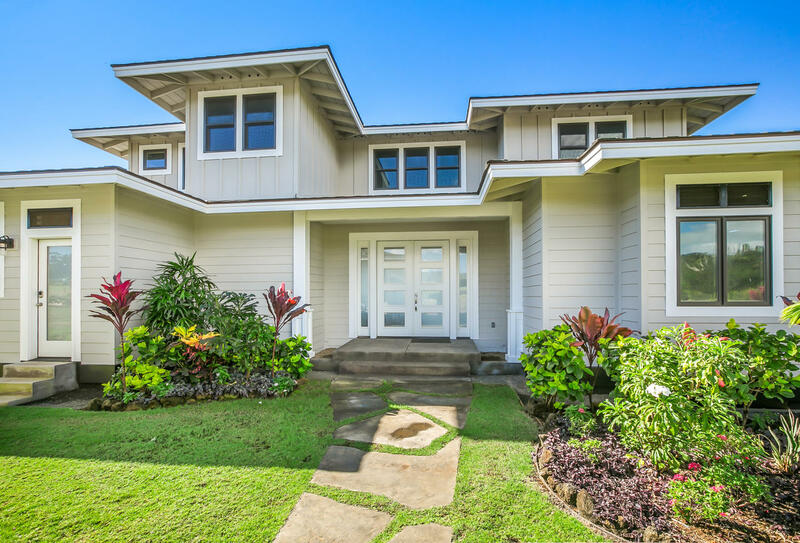 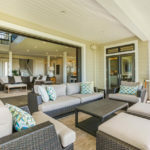 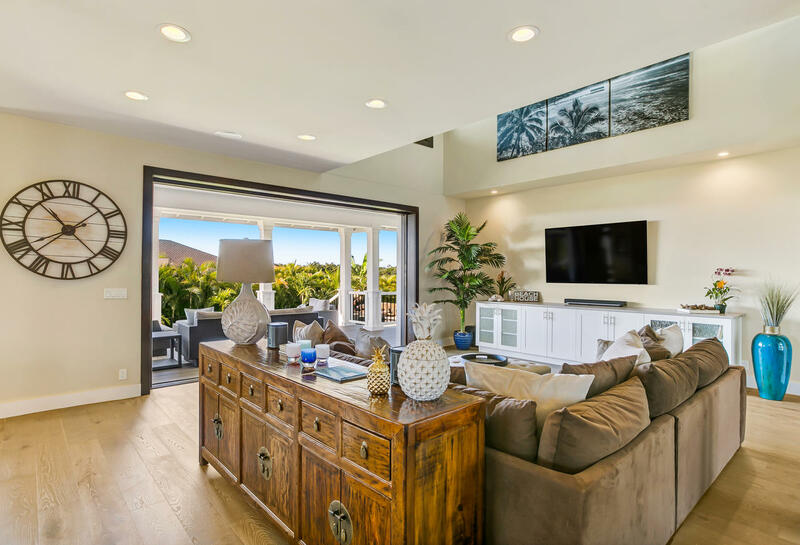 Located in the Poipu Beach Estates neighborhood, this home features a spacious open floor plan with a covered lanai. 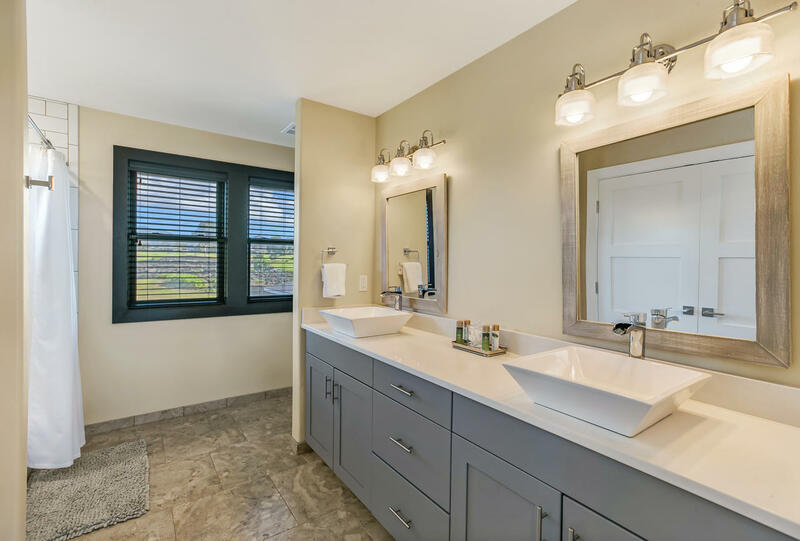 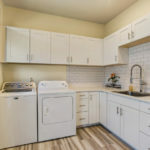 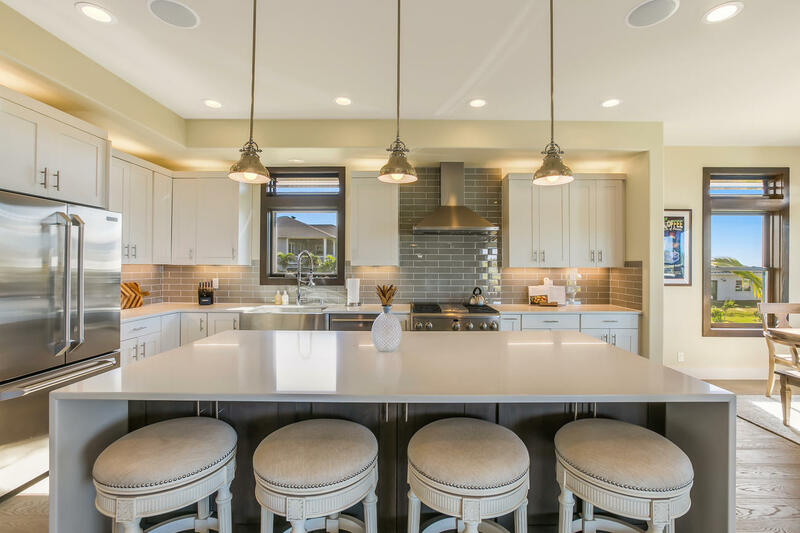 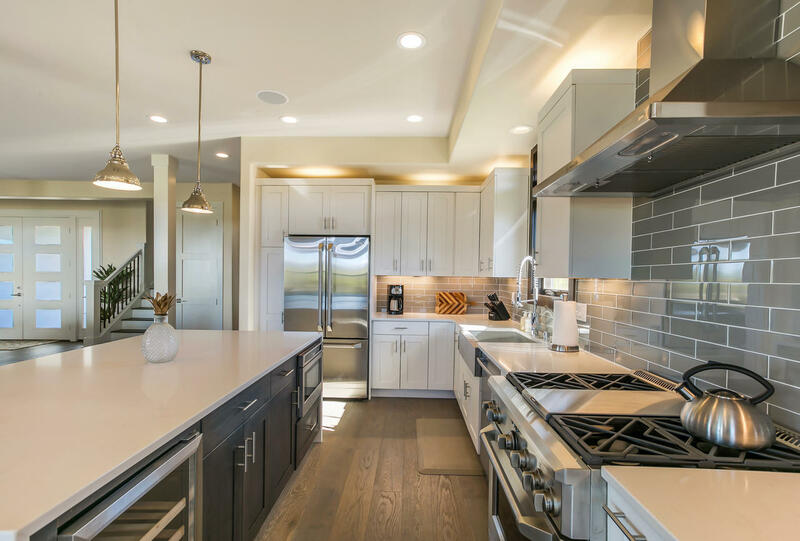 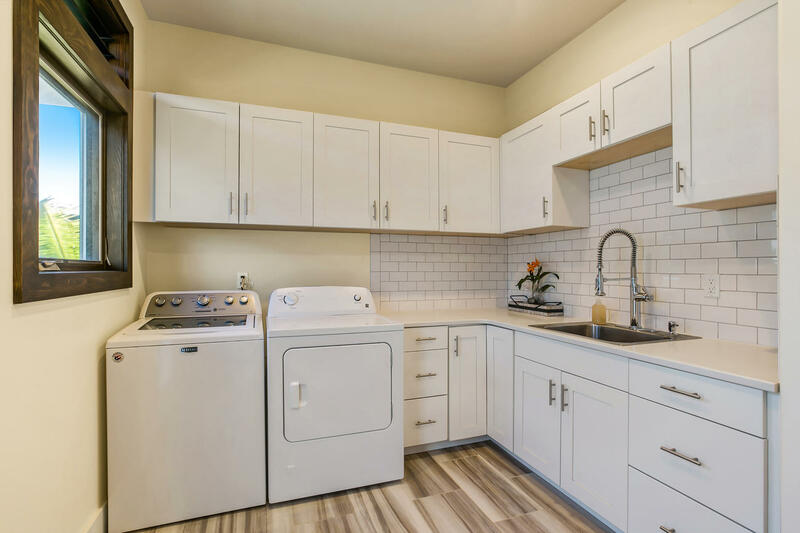 The kitchen flows seamlessly into the living area creating the perfect place to gather and “talk story.” All of the bedrooms in this home feature en suite bathrooms with double sinks. 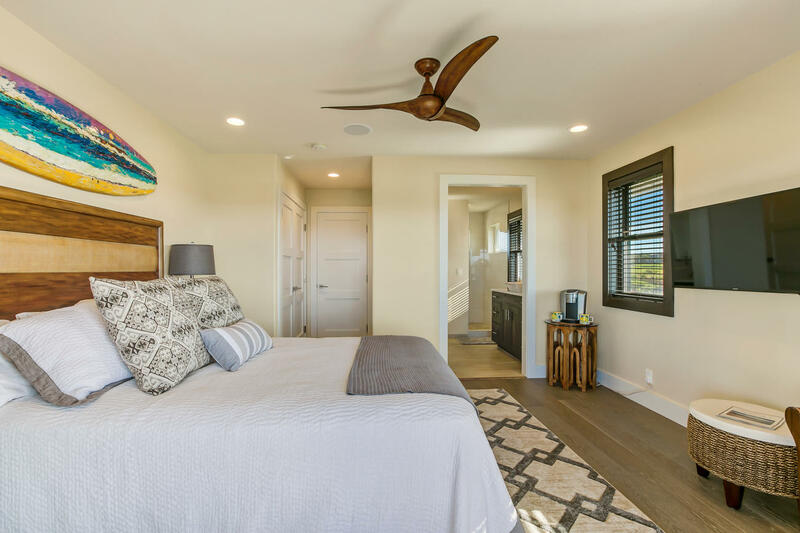 The spacious master bedroom is located on the main floor. 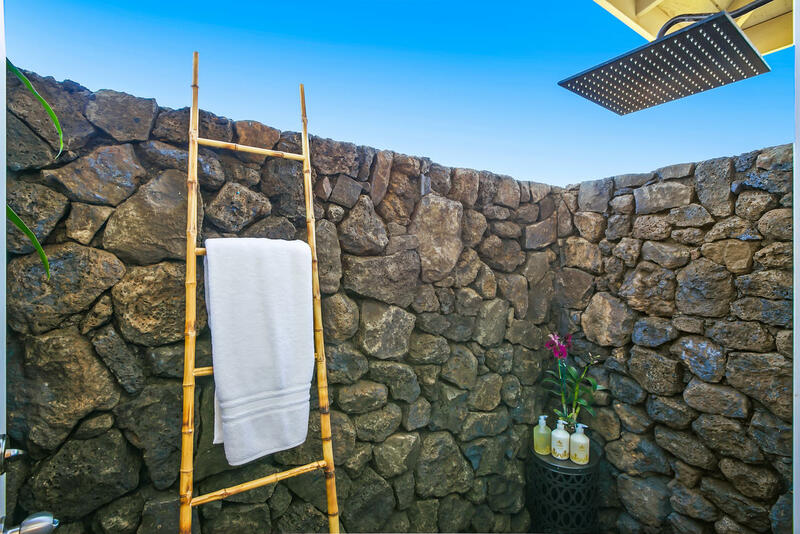 It has a freestanding bathtub along with an outdoor shower. 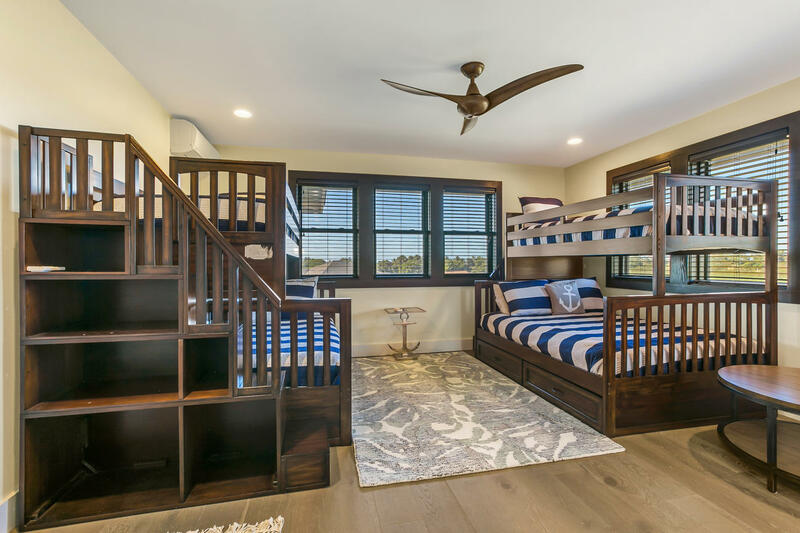 One of the upstairs bedrooms has a Queen sized bed and the other has bunk beds consisting of two double beds and two twin beds. 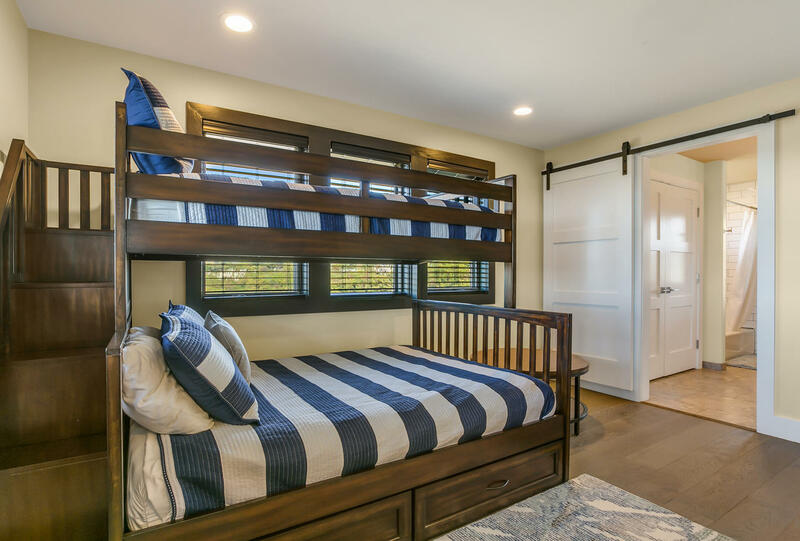 This is a perfect place for the younger members of your group to retreat. 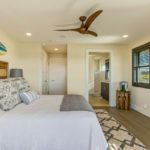 They will also enjoy the upstairs TV area, which is located between the two bedrooms. 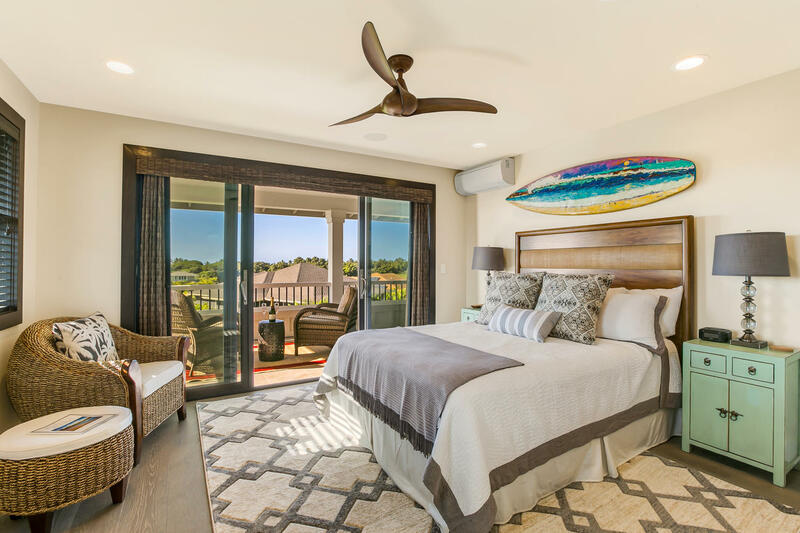 Additional amenities at this home include wi-fi and air-conditioning in each of the bedrooms. 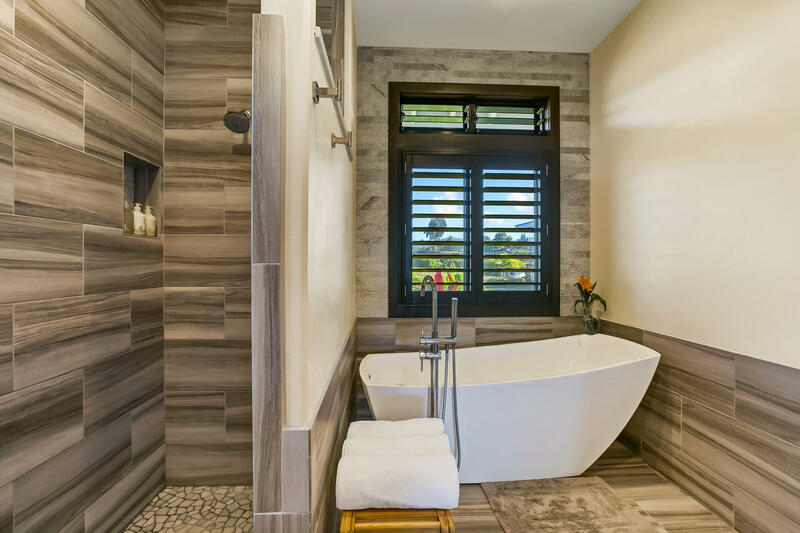 This home features a pool and spa with a waterfall to lull you into complete relaxation. 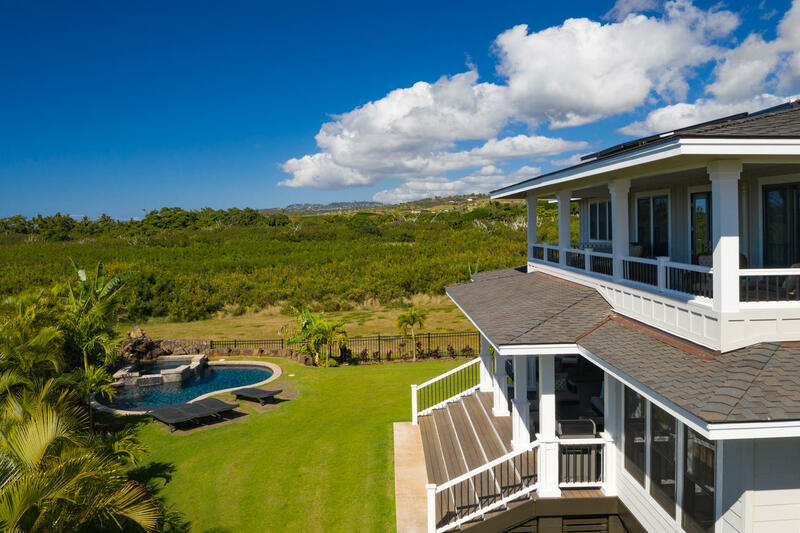 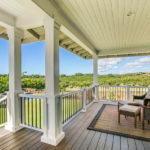 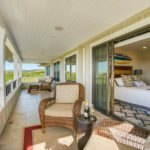 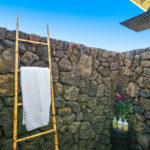 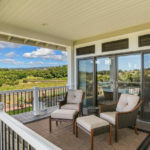 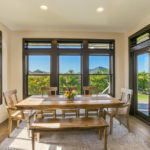 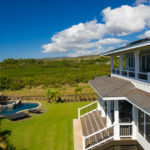 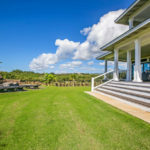 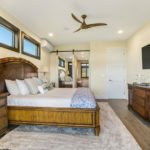 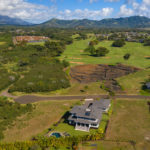 This home is a short bike ride from the famous Poipu beaches. 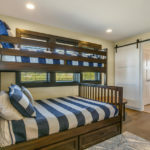 It is ideal for two families with children. 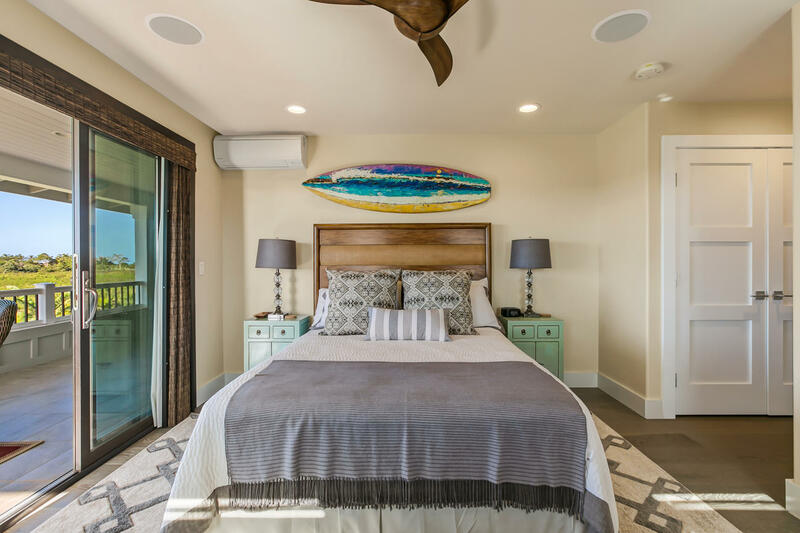 It comfortably sleeps 8. 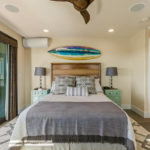 And if two people are willing to share the double beds you can easily sleep 10.